Replication - Server sees all, client sees none. Hello again, me again with yet another replication issue. I'll lay out the basics of what I'm trying to do, show some screenshots of what I've got and explain what's not working. I'm doing some basic prototyping with some box assets that are able to move around, look up and down (The normal stuff) and also fire a laser. Everything so far, works locally AND it also replicates to the server perfectly too. However, when I perform a look up and fire action on client 1, client 2 doesn't see it but the server does. Basically meaning the person hosting the local server can see everything as intended, but the clients do not. Here is the main event flow to call it. Now this value replicates to server perfectly, just not to the other clients. Not quite sure how to replicate that event to other clients for each player that connects. 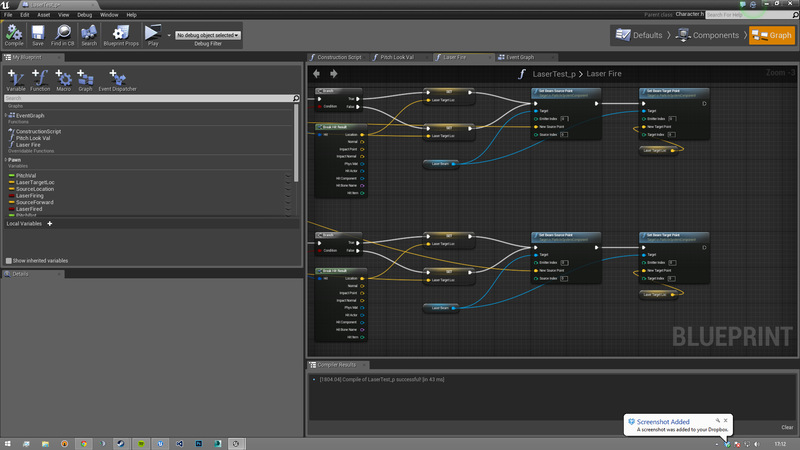 Same as arm rotation, functions on client making the action and replicates on the server, other clients unable to see. I know this is a big ask so any help is a big help! Also, some uploaded images, some imgur as I kept getting No File Exists error when trying to upload more. I have also now tried using the Authority Node and also tried making a separate function if player is the server. Still no luck. I think that part you're missing is multicast event. Create custom event, name it. In details, Graph tab, set Replicates combo box to Multicast. This event will be called on all clients when you call it from server. To call it from server, start typing name of this event (context sensitive). 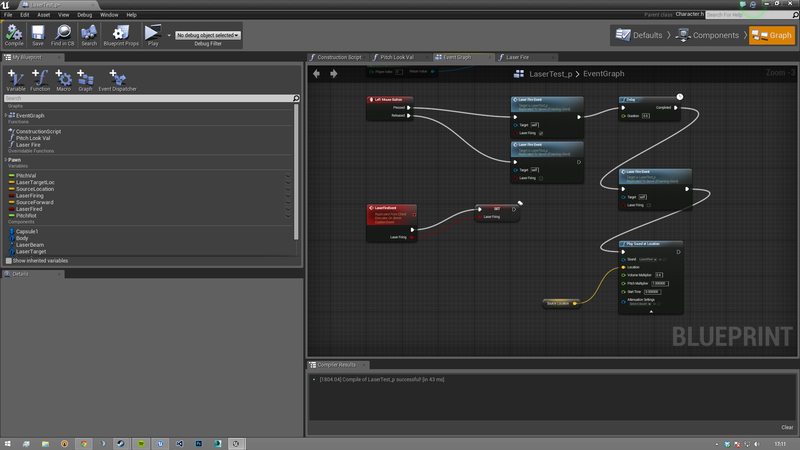 Call node should be found, after you create it, it should contain: Replicated to all (if server) text. Thanks for the reply mpo. I have tried the Multicast function but still seem to have no luck with the Server to Client replication. I'm really getting to the edge of frustration with trying to get this to work... I've been trying for two days now and have really hit a brick wall with it. So, thinking about it I think I've been going about it the wrong way. I should be asking the server for all the firing mechanics. That way the client can't spam false hits. However my issue still remains with the arm pitch rotation. Unless this too should be relayed from the server? Replicated pawn replicates higher on clients. Can't Save to Server from Client?